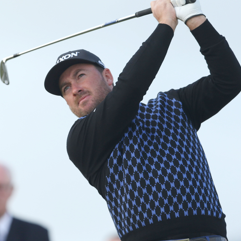 Born in Portrush, Graeme McDowell began playing golf at just eight years old. He began a degree in Engineering at Queen’s University Belfast, transferring to the University of Alabama at Birmingham, where he won the Haskins award for outstanding collegiate golfer in 2002. Graeme turned professional in 2002, winning the Volvo Scandinavian Masters the same year. In 2008, he won the Barclays Scottish Open and the U.S Open in 2010.